For 2014, Ford Fiesta gets a freshened look, along with two new thrifty engines, upgraded in-car technology and a revised interior. Boasting the title of best-selling subcompact across the globe, the Ford Fiesta is a fierce competitor in the small car market. Available in both hatchback and sedan versions, the two body styles make distinctly different statements. 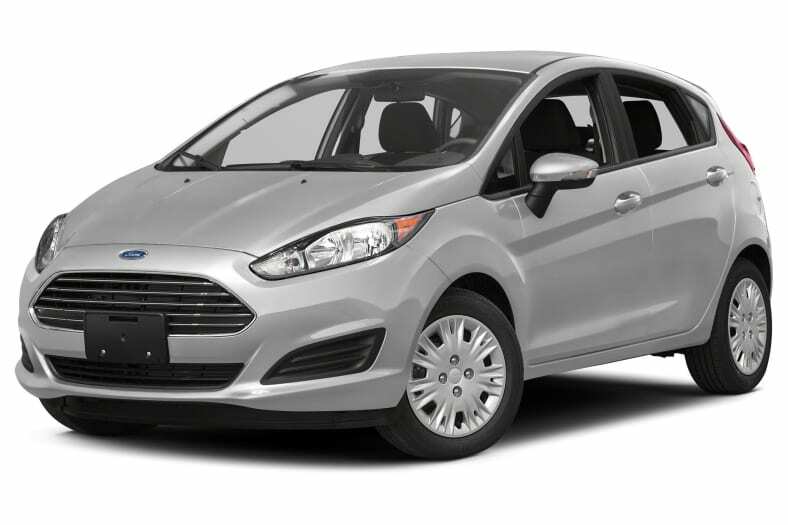 A new wide, horizontal front grille is the most noticeable change on the 2014 Ford Fiesta, bearing a strong resemblance to the latest-generation Fusion sedan. Headlamps and taillamps are new, too, and the refreshed styling helps to make the Fiesta 5 percent more aerodynamic than before, which helps with fuel economy. A Super Fuel Economy Package helps to earn an EPA-estimated 30/41 mpg City/Highway. Most 2014 Fiesta models are powered by a 1.6-liter four-cylinder, good for 120 horsepower and 112 pound-feet of torque. Fuel economy is an EPA-estimated 27/38 mpg City/Highway with the standard 5-speed manual transmission, or 29/39 mpg with the 6-speed automatic. This engine carries over from the 2013 model. However, two new engines make their debut on the 2014 Ford Fiesta: On the efficient end of the spectrum, Ford's 1.0-liter three-cylinder engine will be available late in the model year with 123 horsepower and fuel economy projected to be a class-leading 30/40 mpg City/Highway. At the opposite end of the scale, the high-performance Fiesta ST uses a high-output, direct-injected version of Ford's 1.6-liter, four-cylinder EcoBoost engine good for 197 horsepower and 202 pound-feet of torque. New MyKey technology allows owners (parents) to set maximum limits on vehicle speed and stereo volume, and prevents deactivation of safety systems. Optional on most models is a 6-speed dual clutch transmission, which Ford calls the PowerShift automatic. Unlike a traditional automatic transmission, this gearbox is actually an automated manual that uses two dry clutches. The result is faster shift times and improved fuel economy. It's the best of both worlds for people who are enthusiastic about driving, but for whom stop-and-go traffic kills the notion of a traditional stick shift. With this option, there's no clutch pedal to continuously pump, yet drivers can choose to change gears manually for a sportier, authentic shift feel.